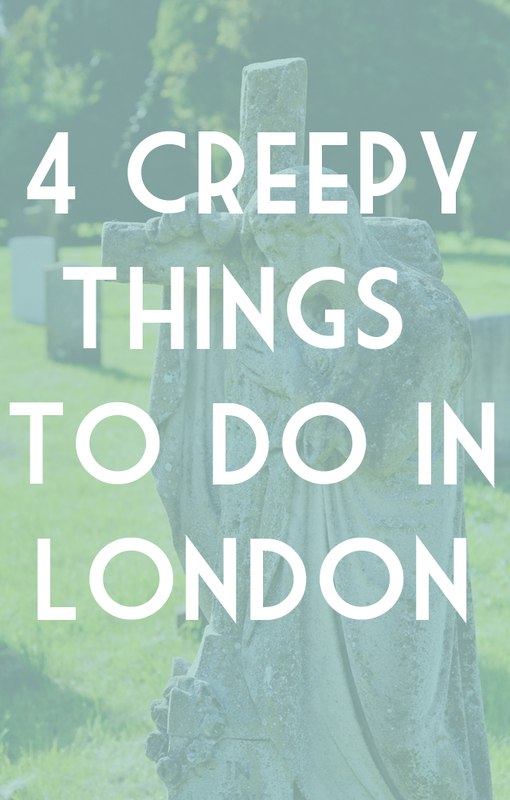 In the summer, I wrote a list of the best free things to do in London, and with Halloween coming up, I thought I'd write a similar guide, this time on the creepiest, spookiest, most morbid things to do in London. My specialist subject and not a cheesy tourist hotspot in sight! London has such an incredibly rich history so it's unsurprising that even the dead have fascinating stories of their own. In fact, there are several books all about London's cemeteries sitting patiently in my Amazon wishlist! 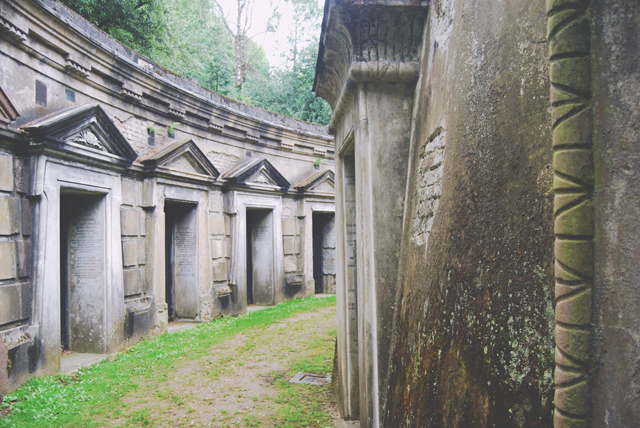 Without a doubt, my favourite is Highgate Cemetery- a stunningly beautiful Victorian cemetery with a captivating history and great guided tours. Other than Highgate, I am eager to visit Bunhill Fields, Kensal Green, which are highly recommended, and Wandsworth as I have ancestors buried there. 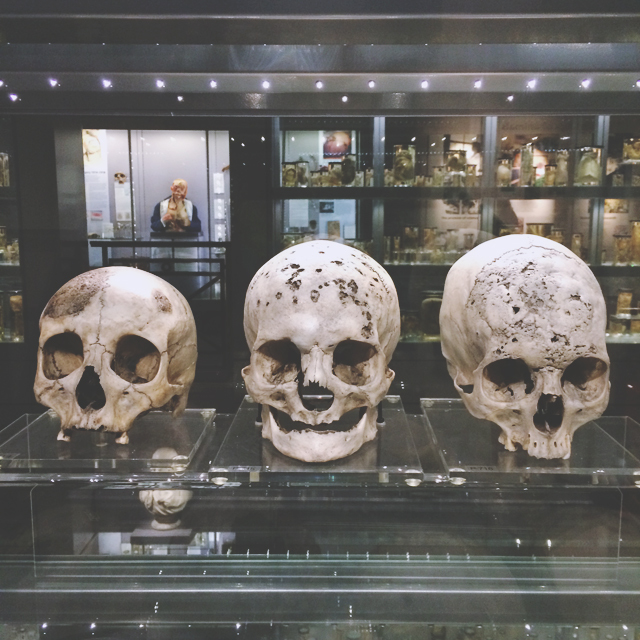 Everyone knows about your standard Natural History and V&A museums, but did you know about the Hunterian Museum, which displays syphilic skulls, picked babies and a 7ft 7 skeleton? Photography isn't permitted so I didn't write a post, although I couldn't resist sneaking the above photo! The Horniman Museum is one I've yet to visit but is top of my list as I'm eager to see the overstuffed walrus, as well as the jar of moles at the Grant Museum of Zoology. Another favourite of mine is Bart's Pathology Museum, which isn't open to the public apart from certain events which brings me to the next point. 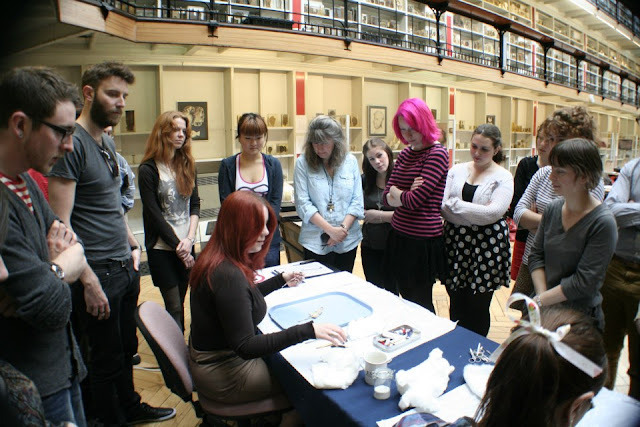 Photo c/o Amanda's Autopsies- There's me in the spotted skirt! I've visited Bart's Pathology Museum a lot on the strength of its talks and workshops. Every couple of months they hold taxidermy classes as well as frequent seminars on subjects such as death and disease. I attended a fascinating talk by Channel 5's favourite criminologist David Wilson all about British serial killing. If this is your sort of thing, I strongly recommend signing up to the mailing list to get regular updates on scheduled events and classes. Ok, so this one might be a little more touristy but it still falls under the morbid category. 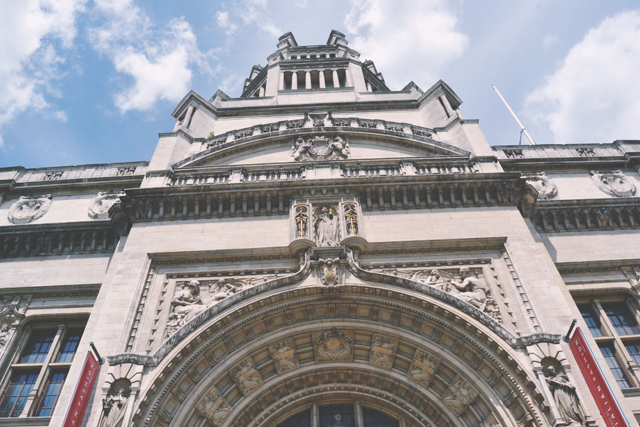 With a bit of digging around, you can discover some amazingly gruesome exhibitions in London's larger galleries and museums. I'm looking forward to visiting the Crime Museum Uncovered exhibition at the Museum of London, which displays objects from historical crimes such as the Acid Bath Murders and the reign of the Kray Twins. Obviously there are far, far more things to do but these are (mostly) based on my own experiences so I know they're fantastic. 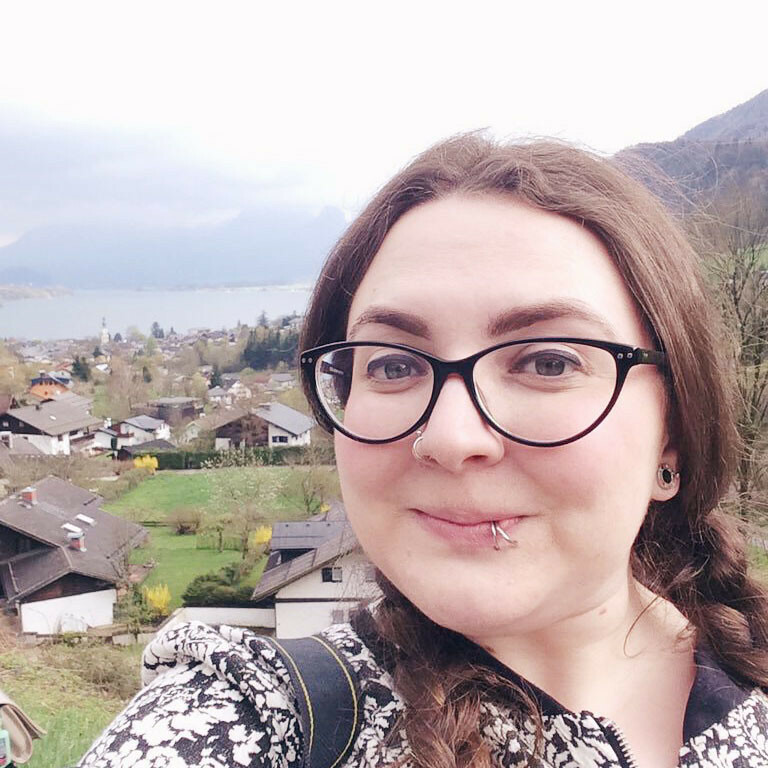 I'm always looking for more creepy, quirky things to do and see in London so add your suggestions in the comments! If you like Highgate cemetery, then I'd highly recommend Nunhead Cemetery in Southwark. It's a gorgeous little cemetery, with loads of really interesting graves (Victorian/Edwardian) with loads of great symbolism - think inverted flaming torches, broken classical columns and more symbolic flowers than you can shake a stick at! Plus, there's a beautiful ruined chapel in the middle too! I love this post so much, I will definitely add these to my list of places to visit in London. I just need to find someone as morbid as me who I can bring along!